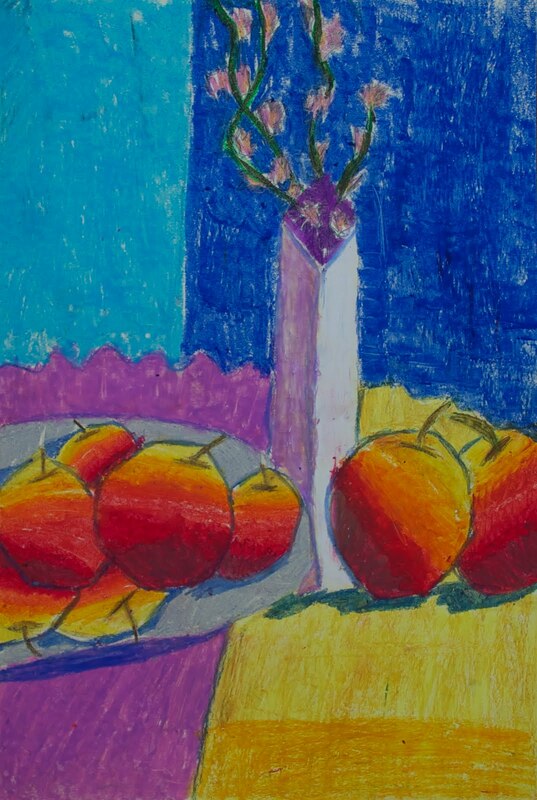 At the peak of apple picking season I find it appropriate to introduce a great French artist, Paul Cezanne who was famous for his bold use of color and his lovely still lifes, many of which depicted apples. 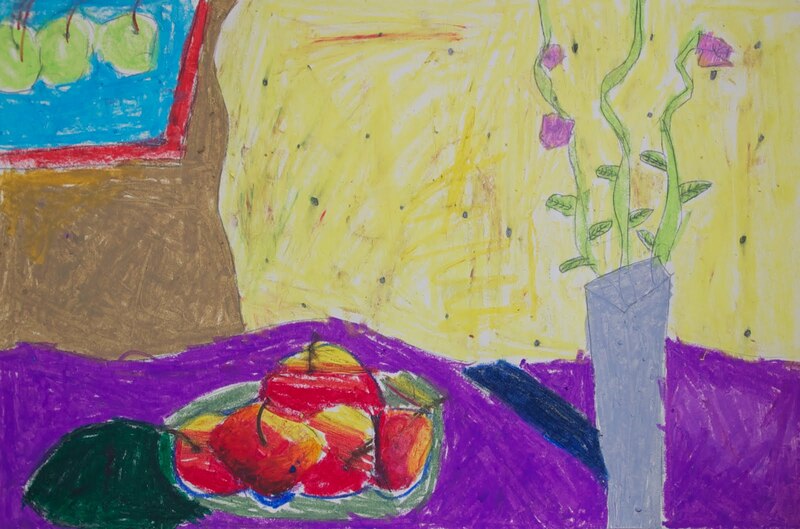 Students will learn about Cezanne and view some of his most famous paintings. 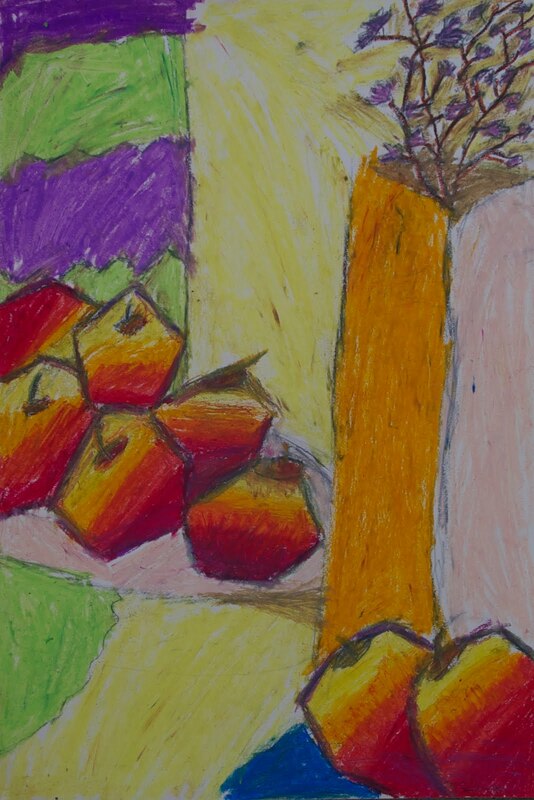 We will then draw and color using rich oil pastels our own apple still life, hopefully before we eat them all! 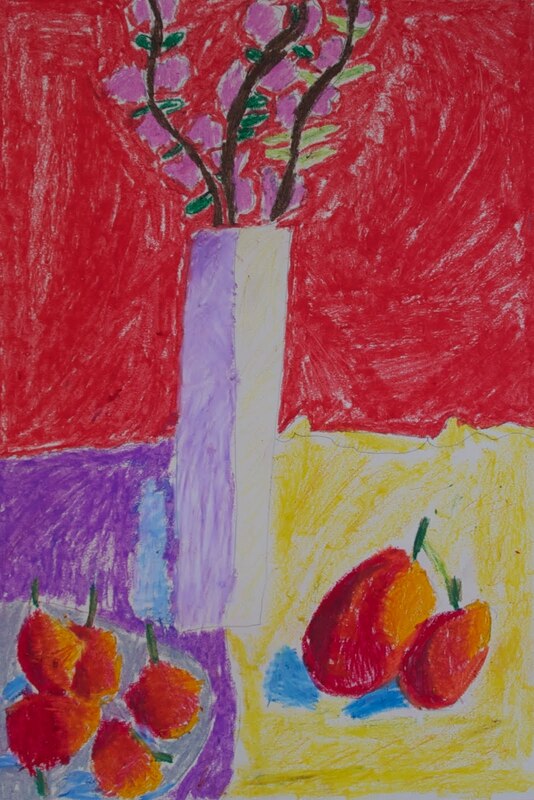 Above works were done by students age 7 to 9.